Whether you are a rabid soccer fan or don’t know a corner kick from a goal kick there is no denying that the worldwide excitement generated by the World Cup every four years is palpable. 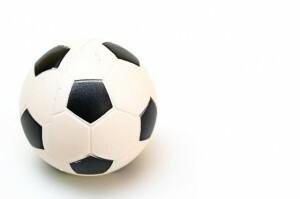 In our endless quest to enhance your experience of “The Beautiful Game,” the Jurewitz Law Group in San Diego has searched high and low to find the best pubs and restaurants in the area where you can watch your favorite World Cup team play and share your love for the game with others so inclined. We know. Who would have figured that an English Pub would be a hotspot for soccer-crazed fans during World Cup? But the pub, located at 37001 India St., has promised that it will show every game, everyday, live for the duration of the Cup. Be aware that there will be a cover charge of $10, but that includes a $10 voucher for food and beverages. For a complete schedule of games and times, you can visit their website. Not to be outdone, the Princess Pub in Little Italy will feature all soccer all the time on its many television sets. This pub, located at 1665 India St., will be packed on the weekends, so come early and don’t forget to bring your noisemaking vuvuzela (on second thought, do forget to bring your vuvuzela). This Mexican restaurant, located at 789 W. Harbor Dr. in downtown, promises that it will honor Taco Tuesday pricing for any fan who wears the national jersey of their favorite team while watching the games. Through exhaustive research, we have learned that soccer is also very popular south of the border. Who knew? There are many pubs and restaurants that will be featuring the World Cup, but we suggest trying out 30th Street hotspots like Bar Pink, Caffe Calabria, Coin-Op, The Office, Toronado and True North. Dubbing itself as “World Cup Headquarters,” this South African-themed restaurant/deli located at 7580 Miramar Road, will air the games on its many flat screens. As you may recall (or not), the last World Cup was held in South Africa. There are many places in the San Diego area where you can root for your favorite national team, so you may want to check what is available in your area. We’ll be checking out some of the matches — and we promise to leave our custom-made Jurewitz Law Group vuvuzelas at home.